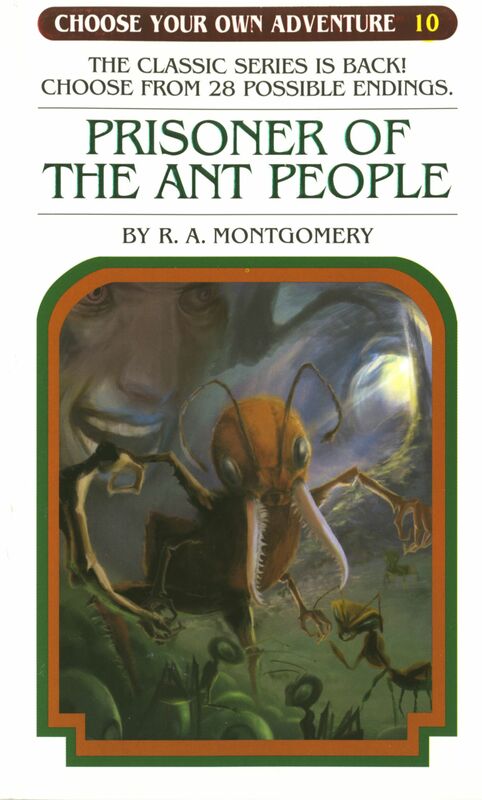 Choose your Own Adventure: Prisoner of the Ant People by R.A. Montgomery. Anyone who grew up in the late seventies or beyond had probably read a book by R.A. Montgomery, though they might not even know his name. 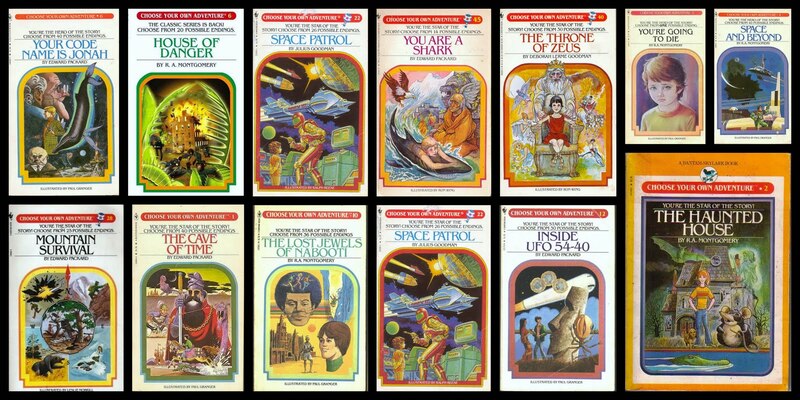 The author and publisher of over 200 Choose Your Own Adventure books passed away last week at the age of 78. I have many memories of reading these unique books over and over again as a kid. Just looking at the covers of such volumes as The Cave of Time and Your Code Name is Jonah brings back floods of memories, not necessarily of the plots, as those vary with each reading and each choice bu the reader, but of the feeling of adventure and control over your own destiny as you read. What made these books so special was the way Montgomery put the reader in the driver’s seat. Not only is it one of the few books you will find written in the second person (as in, “You walk into a room”) but at pivotal moments in the story you, the reader, must decide what to do next. Do you take it slow and explore the spaceship for the missing crew, or do you follow your gut and shrink yourself to a tiny size and look for them at the subatomic level? Choose, but choose wisely. For one decision may lead to a successful adventure but the other may lead to your demise. My son picked out his first Choose Your Own Adventure a couple weeks ago. He picked Prisoner of the Ant People which is a weird sci-fi novel filled with Martians, disintegration rays, and talking ant “people”. I’m excited to be introducing him to this wonderful and exciting world of interactive reading. If anyone else has tried to do the same kind of bo0k, they have not succeeded. R.A. Montgomery will always hold the torch for those who want to decide whether or not to follow the Sherpa into the Yeti’s cave.